The Canon ELPH 300 HS is a 12.1 Megapixel super-slim conpact with a 2.7 inch screen and a 5x stabilised optical zoom. Outside North America it’s known as the IXUS 220 HS and from here on in I’ll call it the ELPH 300 HS / IXUS 220 HS. The HS suffix stands for High Sensitivity and denotes the presence of a back illuminated CMOS sensor. 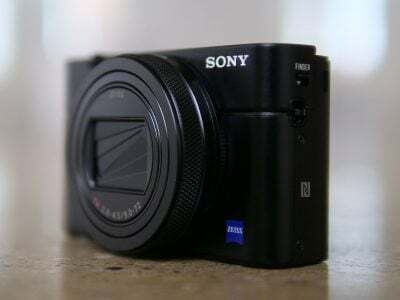 This 12.1 Megapixel sensor forms the backbone of the 2011 ELPH / IXUS range and claims superior low noise performance, relatively fast continuous shooting and a best quality video mode of 1080p24 along with Super Slow Motion movie modes. The ELPH 300 HS / IXUS 220 HS is essentially a point and shoot compact and features Canon’s Smart Auto mode with scene detection, face detect AF and a range of scene modes including the Miniature, Toy Camera and Colour Accent Filter Effect. 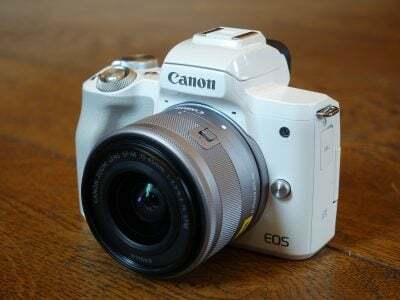 Announced in February 2011, it’s not the newest Canon point-and-shoot camera, but it has become one of the best-selling, frequently topping the charts. Indeed in many ways the ELPH 300 HS / IXUS 220 HS is the perfectly balanced model in the range, combining many of the features of the higher end models in a super-compact format at an affordable price. Is it the best all-round ELPH / IXUS, or is it worth paying extra for the ELPH 310 HS / IXUS 230 HS, or does the lower-priced ELPH 100 HS / IXUS 115 HS offer better value? Read our full review to find out which is the best Canon point-and-shoot for you. The two ‘middle’ models in the IXUS range, the ELPH 300 HS / IXUS 220 HS and the ELPH 310 HS / IXUS 230 HS are, at first glance very similar, but hold them in your hand and there’s something about the ELPH 300 HS / IXUS 220 HS that makes it different, special even. It’s slightly smaller and lighter than the ELPH 310 HS / IXUS 230 HS, but that’s not it. What you may not be able to see in the product shot above is the matt textured coating on the ELPH 300 HS / IXUS 220 HS body. It feels as if the camera has been covered in tightly fitting linen. I doubt that it has much practical application and in fact it marks easily, but I loved the feel of it and it’s one of those things that makes a product attactive and desirable for no real practical reason. The ELPH 300 HS / IXUS 220 HS is available in red and silver as well as black. Despite its petite size, the ELPH 300 HS / IXUS 220 HS controls are well laid out and big enough to operate with your thumb. On the back there’s a two-way mode switch for toggling between Smart Auto and the current selection on the exposure mode menu. There’s a conventional four-way controller plus playback and menu buttons and lastly a dedicated movie record button conveniently place behind the shutter release. The ELPH 300 HS / IXUS 220 HS has a 2.7in / 230k screen which is small by today’s standards where 3in screens are becoming the norm. There’s no question that the 3 inch screen on both the ELPH 310 HS / IXUS 230 HS and ELPH 100 HS / IXUS 115 HS is a big improvement. That said the screen provides a bright contrasty view which is easy to see in most conditions with the usual exception of direct sunlight. The illumination doesn’t fall off when viewed even from acute horizontal or vertical angles, so it’s good for above the head shots and you won’t have any problems reviewing shots with a group of friends. The built-in flash is located on the top left corner and, as with all the current ELPH / IXUS models, you need to be careful not to obscure it with your left index finger. It has a maximum range at the wide angle lens setting of 3.5 metres. The flash can be used in slow sync as well as auto modes and the AF illuminator on the front of the camera can be configured to double-up as a red-eye reduction lamp, illuminating just prior to an exposure to force people’s irises to contract. You can also apply a software red-eye correction, pre or post-shooting. Though the ELPH 300 HS / IXUS 220 HS doesn’t have a hotshoe it can be used with Canon’s HF-DC1 and HF-DC2 external slave flash units. The ELPH 300 HS / IXUS 220 HS’ USB / AV out and HDMI ports are located behind a small rubber cover on the right side. A USB cable is supplied to transfer photos and video to a PC, and there’s an AV cable for connecting to a standard definition TV with a composite video RCA plug (something that’s not included in the more expensive ELPH 310 HS / IXUS 230 HS). The 5x optical zoom lens on the ELPH 300 HS / IXUS 220 HS has an equivalent range of 24-120mm. While it lacks the coverage of the big guns in the ELPH / IXUS range – 8X on the ELPH 310 HS / IXUS 230 HS and 12x on the ELPH 510 HS / IXUS 1100 HS – it zooms wider than either of the higher end models and is a great range for general purpose shooting. The 120mm telephoto won’t get you close enough for sports or wildlife (other than at the zoo), but it is long enough to get you close to moderately distant action and for tight framing on candid shots. The other upside to a slightly shorter zoom range is that you get a wider maximum aperture at the wide angle setting: f2.7 compared with f3 on the ELPH 310 HS / IXUS 230 HS. The ELPH 300 HS / IXUS 220 HS has optical image stabilisation. Unlike the new Intelligent IS system on the higher end ELPH / IXUS models, it doesn’t automatically adapt to different conditions, but it does use the same optical system which moves the lens elements to couteract camera shake. There are four modes – Off, Continuous, Shoot only and Panning. 100% crop, 4.3-21.5mm at 21.5mm, 100 ISO, 1/5, IS off. 100% crop, 4.3-21.5mm at 21.5mm, 100 ISO, 1/5, IS on. To test the stabilisation on the ELPH 300 HS / IXUS 220 HS I took a series of hand-held shots at different shutter speeds with the lens set to its maximum zoom setting of 120mm (equivalent), both with IS set to Continuous and turned off. The crops above are from shots taken at 1/5 with the IS turned off (left) and on Continuous (right). As you can see, the ELPH 300 HS / IXUS 220 HS is capable of an impressive 4 stops of stabilisation. In Smart Auto mode the ELPH 300 HS / IXUS 220 HS uses scene detection to determine the best exposure. The Digic 4 processor’s approach to scene detection is a sophisticated one, first determining whether there are people in the frame and if they are moving, then what the lighting conditions are and finally whether the camera is mounted on a tripod. It’s quick and almost always accurate. Flick the two-way exposure mode switch to the alternate position and you enter Program mode or one of the 24 scene modes listed on the exposure mode flyout of the Func menu. These include Creative filter effects – Monochrome, Toy Camera, Fish-eye, Super Vivid, Poster Effect, Colour Accent, Colour Swap and Miniature. Like other HS-series models, the ELPH 300 HS / IXUS 220 HS offers a Handheld Night Scene mode to reduce noise (see results pages) and also a Best Image Selection mode which takes five shots in rapid succession and chooses the best one, which generally means the one with least camera shake and subject blur, and saves it to the card. It’s useful in situations where the light means you can’t be confident of getting a good shot, but the fact that it’s limited to 3M resolution is somewhat disappointing. The Smart Shutter scene mode can fire the shutter up to 10 times when a smile is detected, and includes Face and Wink self-timer functions so that you can include yourself in a group photo without dashing around. There’s also Canon’s innovative movie digest mode which compiles short video clips automatically captured before each shot you take. It’s a fun to see a video emerge of your day’s photo-taking, especially of people as they perfect their poses, although the downside is the continuous buffering of video will see your batteries deplete more quickly, so beware if you’re out without a spare. Movies can be shot in Program Auto exposure mode or Smart Auto mode which takes advantage of scene detection to determine the correct exposure. Some of the scene modes and what were formerly called Creative Effects can also be used for movie shooting including including Miniature mode. By default, Miniature mode movies are shot in standard definition 640 x 480 format. If you want to shoot in the best quality 720p mode for the Miniature effect you have to first change the still photo aspect ratio to 16:9. This is an odd way of doing things; we’d expect the best quality mode to be the default and it would make more sense for the movie mode settings to follow whatever was set for ‘normal’ shooting, rather than tucked away in the still image formats. One of the advantages that Canon’s Miniature mode has over other variants though is that you can select the focus zone area. This is done by moving a rectangular frame up and down the screen and can be set in both horizontal and vertical planes either for portrait shots or where the subject just works better with the blurred regions to the left and right of the focus zone, rather than top and bottom. You can see an example below. Finally, the ELPH 300 HS / IXUS 230 HS has Super Slow Motion movie mode which shoots 640 x 480 clips at 120fps and 320 x 240 clips at 240fps. When played back at 30fps these are sped up by a factor of 4x and 8x respectively. You can see examples in our Canon SX40 HS review – just scroll down to the movie section. Movie shooting employs Dynamic IS which provides extra stabilisation to iron out wobbles caused, for example by walking and shooting a the same time. There’s no Powered IS option, which reduces shakes at the full telephoto focal length on models with a longer zoom range, but with a maximum telephoto range of 120mm it would be of limited use here. No Powered IS, but dynamic IS is enough to keep the ELPH 300 HS / IXUS 220 HS very steady at the maximum 5x extent of the zoom. The focus wanders a bit at the end of the pan, but quickly recovers. On this tripod-mounted panning shot the focus is still wandering a little. The stereo mics are quite susceptible to wind and handling noise, but the zoom motor, though audible isn’t too intrusive. The video quality is a little noisy, but everything else about this interior panning shot is good, from exposure and white balance to audio quality. Like all the current IXUS models, the ELPH 300 HS / IXUS 220 HS can shoot in miniature mode at 720p resolution if you set the aspect ratio to 16:9, otherwise it defaults to VGA (640 x 480). This clip was shot in the 10x speed mode. Press the on/off button and the ELPH 300 HS / IXUS 220 HS is ready to take a shot in about two and a half seconds; that’s on the slow side of average, but comparable with other ELPH / IXUS models. The single speed 5X zoom covers the range at rapid speed, but can be nudged in fine increments too. It emits a slight whine in normal use, and although you can’t hear it when used during movie recording its sound is just picked up by the built-in stereo mics. The two-way position switch works well, allowing you to switch between Smart Auto mode and another mode of your choice – it could be Program Auto or any one of the scene modes – without the fuss or complication of a full blown mode dial. 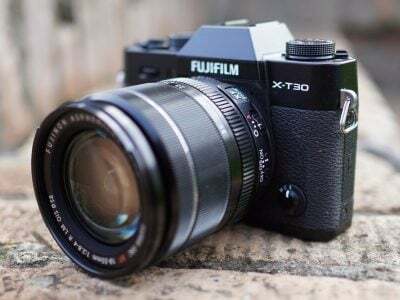 But if you want to use a different exposure mode – say Hi Speed Burst or one of the modes formerly known as Creative Effects, then you have to scroll through a menu containing no fewer than 25 options. This is poor UI design by any standards and it’s particularly disappointing given the obvious attention to detail given to virtually every other aspect of the ELPH 300 HS / IXUS 220 HS’ design. Canon’s face detect AF is one of the most reliable around and is especially good at locking onto faces even when they’re some distance form the camera and turned to partial profile. Like all such systems it does struggle a bit in poor lighting though. Likewise, in good lighting conditions the tracking AF mode does a good job of following a target object in the frame. If all else fails there’s a centre mode to fall back on with a choice of two central AF area sizes. In continuous shooting mode the ELPH 300 HS / IXUS 220 HS managed 2.3 frames per second – a little slower than the quoted 3.4fps. It also has a reduced resolution High Speed burst mode which produces 3 Megapixel shots at a rate of 6.3fps again slightly slower than the 8fps quoted rate. To see how the quality of the ELPH 300 HS / IXUS 220 HS measures-up in practice, take a look at our real-life resolution and high ISO noise results pages, browse the sample images gallery, or skip to the chase and head straight for our verdict.